The Israeli startup ecosystem is mostly an export economy – most startups who develop their product in Israel focus on distributing it in global markets, and specifically in the United States as their primary market. Thus, it is not surprising that so many Israeli entrepreneurs start planning their U.S. presence in the early stages of the company. 42% of startups that failed attribute their failure to the lack of a market need for their product. This makes relocation to the U.S. all the more necessary – the proximity to their target market enables startups to understand their audience, market and competition, and build products that provide relevant value to their prospective customers. All of those are crucial to a startup’s ability to grow in the long run. The United States also presents Israeli entrepreneurs with a variety of options when it comes to investors, and makes it easier to raise larger rounds of funding. Despite these advantages, the grass isn’t always greener in the U.S.. According to a 2012 study published by Harvard Business School, three out of four venture-backed startups will fail. So before you pack your bags, there are a few things to consider in order to survive and thrive in the U.S. market. Until recently, the West Coast has been the default selection for Israeli entrepreneurs. It offers many advantages, such as the vibrant tech scene, dominated by the large venture capital firms and technology giants such as Facebook, Google and Oracle. However, in the past few years, the East Coast and specifically New York have become a lucrative destination for entrepreneurs, with over 300 Israeli startup active in New York alone. New York is in essence a city of immigrants – a cultural melting pot of people from different backgrounds that can call it home even though they weren’t born and raised there. This makes the relocation experience friendlier and enables newcomers to blend in pretty easily. The time difference between New York and Israel is smaller and enables more efficient communication with the teams that remain in Israel. But more than anything, the most important consideration should be the location of the potential customers. In many verticals such as fintech, e-commerce, media and even digital health and SaaS, you will find a larger amount of relevant prospects in the East Coast. Therefore, choosing the location of your U.S. base of operations is highly dependent on the current stage of your company. At fraud-prevention company Forter, my previous workplace, the company launched its U.S. activity at a very early stage in San Francisco. After a year, when the company started to grow rapidly, it shifted its location to New York where it could be closer to the customers and to its U.S. office. If you ask many Israeli entrepreneurs operating in the U.S., their biggest challenge when moving to the states is probably recruiting the first people on the ground. Many entrepreneurs are tempted to hire a senior American executive with previous experience in large corporations where he managed hundreds of people – but if you are an early stage startup the result is almost always a chronic of a disaster foretold. The differences in mentalities, pace and motivation create a large gap between expectation and reality. People who don’t fit the unique culture of an early stage Israeli startup will have a hard time achieving their goals and will most likely incur heavy expenses around excessive hiring and exaggerated compensation. This challenge becomes an almost-impossible mission when it comes to hiring sales functions. Sales professionals make their living by selling, which makes them exceptionally skilled at “selling” themselves. Make sure you recruit talent for your most crucial positions through a backchannel or a recommendation from someone you know and trust. Hiring experienced Israeli professionals who live in the U.S. for those first, sensitive positions could be a good solution and assist with building a healthy organizational culture. Just like in Israel, where entrepreneurs close their first deals with the guy they know from the army or the girl from high school, deals in the U.S. are also conducted between people and the personal aspect has a huge impact. The fact that two people went to college together or play golf on weekends creates an immediate trigger for a new business opportunity. The more you blend in the local culture, become a fan of a football team and expand your social life, the more business opportunities you’ll create. Whether you choose a direct strategy or a partnership strategy, try to find the right channels that would get you to your market quickly and smoothly. Investors, acceleration programs and partners you’ll find along the way would go a long way opening doors while giving you a stamp of credibility. Moving to the U.S. is almost inevitable if you want to validate how serious you are about the U.S. market – this is extremely significant to many customers and stakeholders. But this is also where the hard work really begins, and your ability to create a strong and deep network is a crucial success factor. 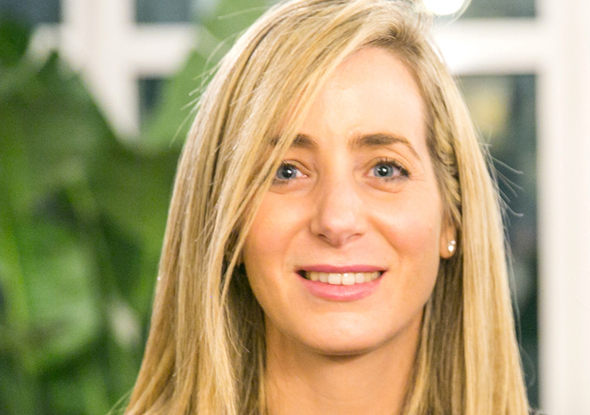 Noam Inbar is the head of the startup ecosystem at Oracle Corporation's Israel office. She was previously vice president of strategy, business development and marketing at fraud-detection company Forter.